peps1 wrote: Used the issue 1 fuzz face screw holes as a scale reference, as I assume it the same enclosure. What's the distance between screw holes in FF? I have a couple of Fuzz face enclosures and the distance between the centres of screw holes is 51mm. I have this beast so I don't need the schematic or values; I can just look at my board. It's the OFF BOARD wiring I'm interested in. I've done a fairly thorough web search & have come up dry. Any one have any other resources to the OFF BOARD WIRING? from the pictures on the web, it looks typically 'British'. Never seen one in the flesh but I was under the understanding that these unit where *positive ground*?? If so the then the pictures make sense as the red positive goes to ground. Check the electros for clues as they will also be polar reversed. phatt wrote: Never seen one in the flesh but I was under the understanding that these unit where *positive ground*?? If so the then the pictures make sense as the red positive goes to ground. What's confusing about the off-board wiring? It should be pretty straight forward to figure out from the schematic regardless if it's it neg or pos ground. phibes wrote: What's confusing about the off-board wiring? It should be pretty straight forward to figure out from the schematic regardless if it's it neg or pos ground. Not quite. Schemo screams for NPN silicons, and wiring picts shows positive (red wire) going to ground. E-caps on the same picts I was referring to are pointed negative to ground! sinner wrote: Want some more confusion? Yeah I can see the confusion now after eyeballing it. It looks wired for positive ground. It'll work either way as the electros are facing where they gotta go. I wonder why they did it that way? Did they do the same on the silicon Fuzz Faces? No, they're usually wired up correctly. I want to build an Arbiter Bass/Treble Face, but I didn't find a layout of the parts. I've tried to retrace it using the photos from this topic, but I don't have enough skills to do that. shouldn't the schematic be cool enough? LucifersTrip wrote: shouldn't the schematic be cool enough? 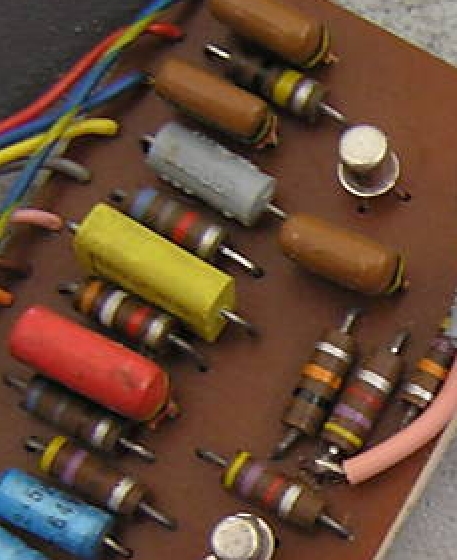 I've seen the schematic, but in the photos I saw some capacitors that I couldn't identify. 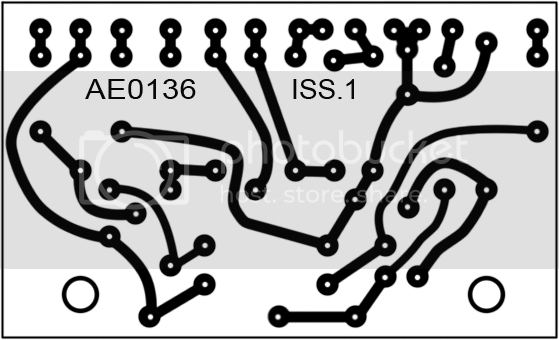 I will try again, using both the schematic and the photos. If anyone saved the schematic could they re-post it? Thanks.